In the year 1970, I was travelling to Mumbai on my official work. 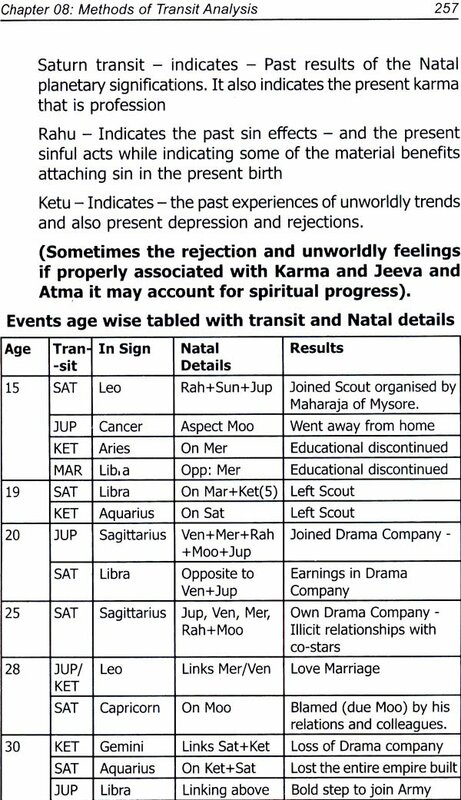 In the train I got introduced to a gentleman who was studying astrology book. Out of curiosity I interacted with him and being totally unaware of anything in astrology, I could only grasp that there is this divine tools by which future of any person can be analysed precisely. In the absence of working tools he could not however study my horoscope and he was kind enough to guide me to an astrologer at Mumbai subsequently. 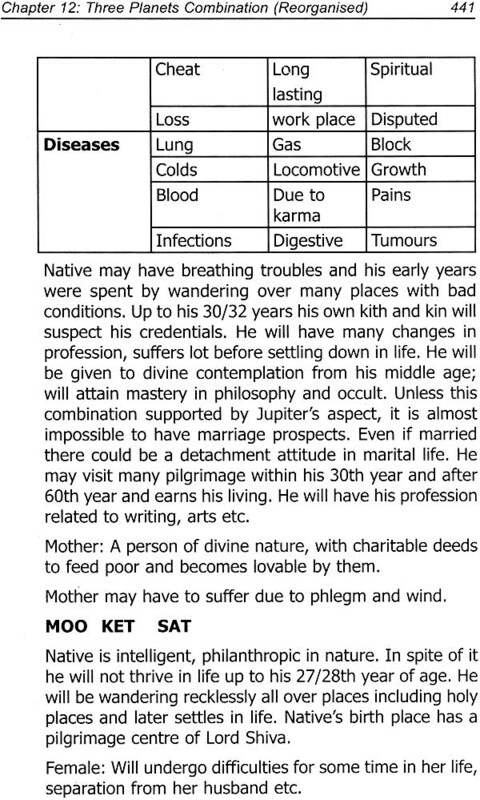 Amazingly, this new Astrologer at Mumbai baffled me with his astonishing predictions about my past and details about my parents, brothers, and sisters precisely. I was so convinced that this science must be learnt by me. 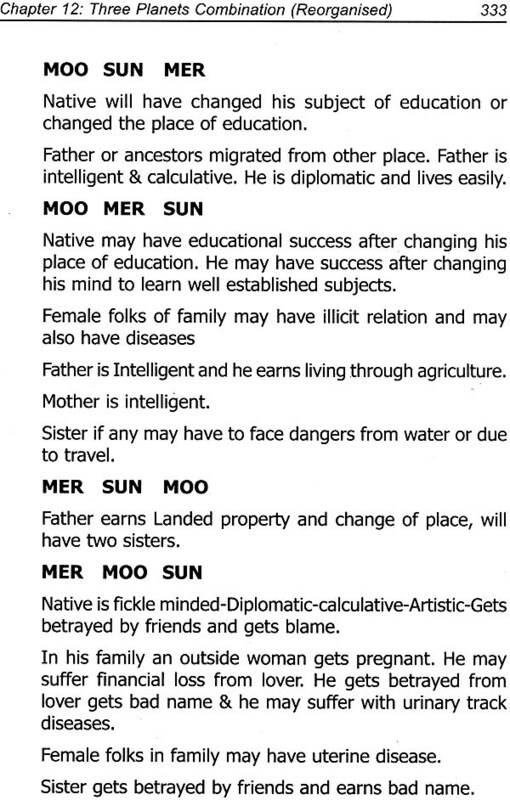 In the later years I brought some books on astrology for beginners and tried my best to grasp them. It took some time for me to grasp the fundamentals of astrology. Then I approached advanced books on the subjects and also many other methods such as Krishnamurthy system etc. Awfully, I gathered more or less same information from the collection of astrological books. But none of these systems could provide me with a convincing principle to analyse the horoscope to predict the results and timing of events. I then resorted to study some of the original treatise on the traditional astrology. This gave me some level of confidence and to a certain extent. 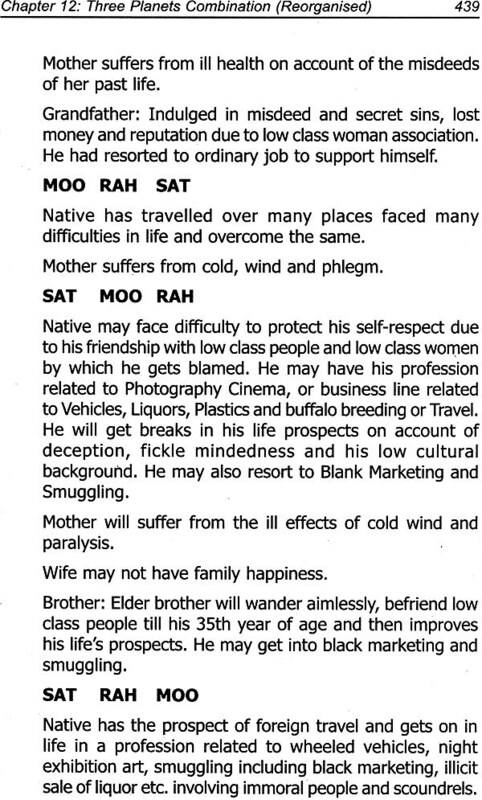 I could read few points in horoscopes. By this time I had come across some of the works by learned authors who have triggered my interest in astrology. It would be unfair on my part if I do not pay my regard to them through this writing. Among them I offer my special gratitude is to Late Sri J.N. Bahasin, who wrote number of books wherein he had cleared many doubts and cleared confusion existing in many astrological texts claimed to have been great works. Despite the fact that I could get some convincing methods, I could not match these tools, to the precise prediction level of the astrologer at Mumbai. His sequence of precise predictions had made me to visit him again and enquire about the method he uses to delineate the horoscope. I was told that this gentleman uses the Naadi principles for predictions. Beyond this information I was not given further details. 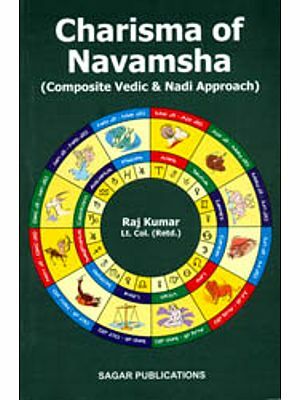 I have wasted money on many books titled with phrase "NAADI" all of them have either talks of inclusion of nakshatra system, or Sub lord or sub-sub lord. 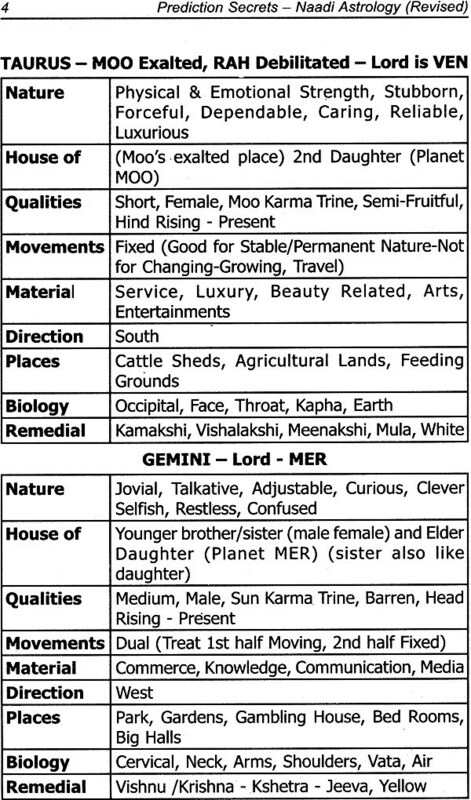 Some of them simply indicate Parasara method with inclusion of many components which make no sense and gets published under heading Naadi. Ultimately through favouring resources as accredited in the previous edition, I came across books of Sri R.G.Rao and after that it's all history. The wonder part of this system is that even subtle matters, such as whether the person is affected with Black magic, if so by whom, and the remedies to it. There are instances traced in the horoscope, where a person was administered with poisonous liquid for submission to a particular lady and the person was asked to get remedied for the same. Especially, in this system, the characteristics of matching couple can easily be made and marital hazards can be avoided to a great extent. Past lives and future life can be explained. Most wonderful part of this system is it does not advocate house, Cusp and Divisional chart analysis. Thus this system avoids most of the calculations and the entire system is based on Karakatwas of planets and the Rasi. The strength of the planets is based on their position in the sign and its association with other planets. 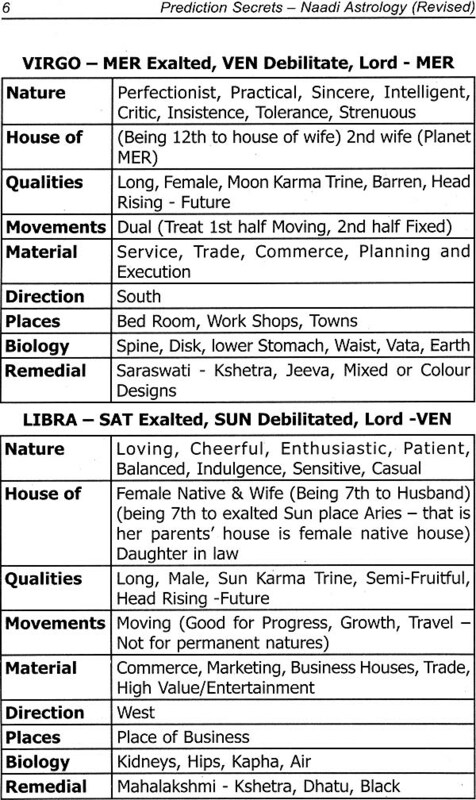 The Retrograde and Exchanged planets have dual role in forming combination. 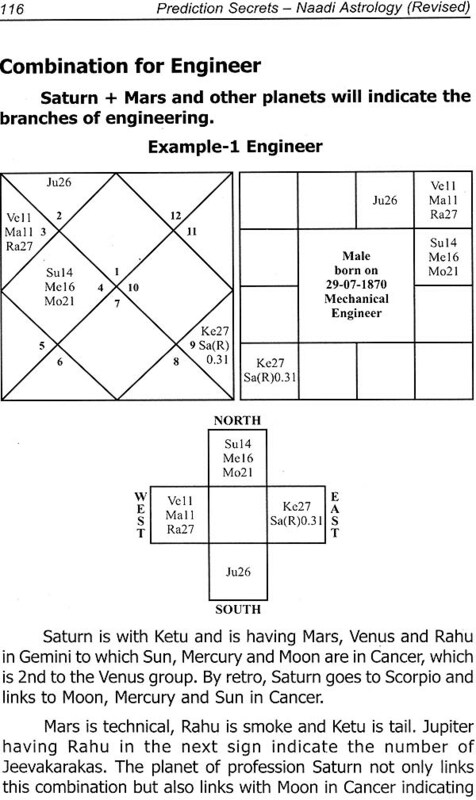 The unique controlling tool in this system is how best you combine the Karakatwas (signification) of planet in relation with other planets as per the rules of combinations. Once this logic is understood clearly, many matters can be delineated through this system. 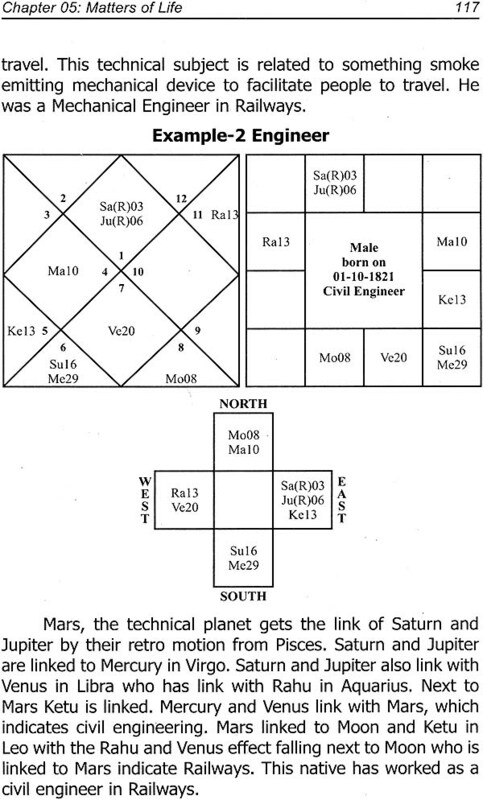 Most important thing in this prediction method is to have planetary position at Birth chart and also transit chart at the time of consultation. 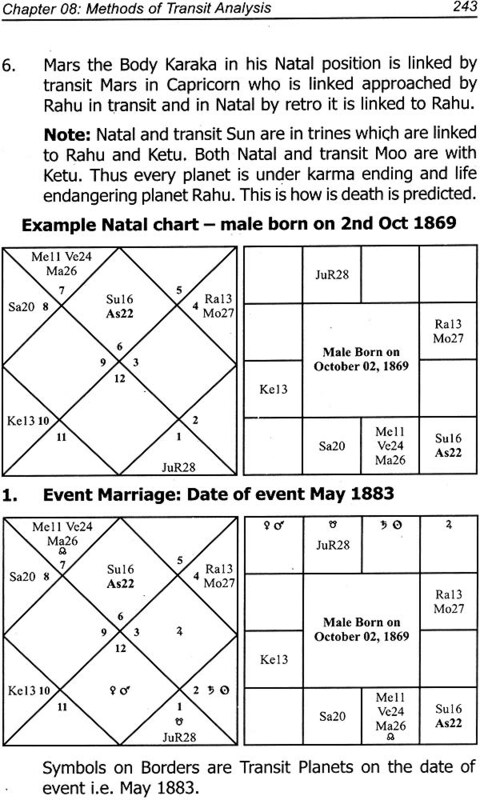 The timing of the events is based on slow moving planets and fast moving planets over natal planets in different positions. 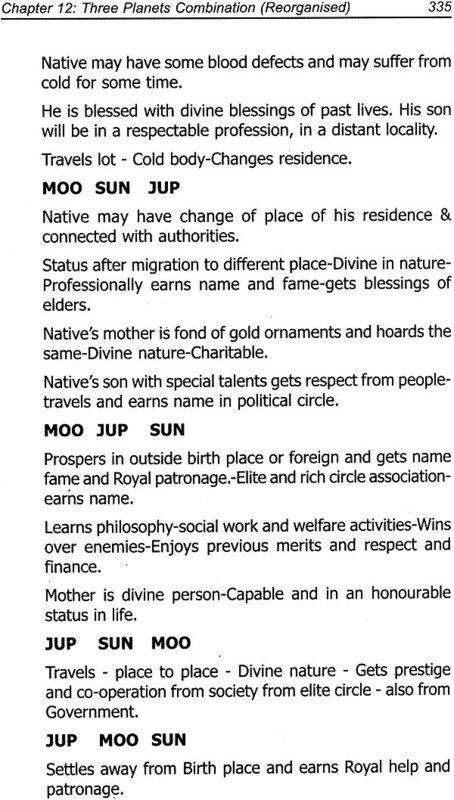 The combination in the birth chart forms yoga and the transit will indicate the fructification of this yoga. 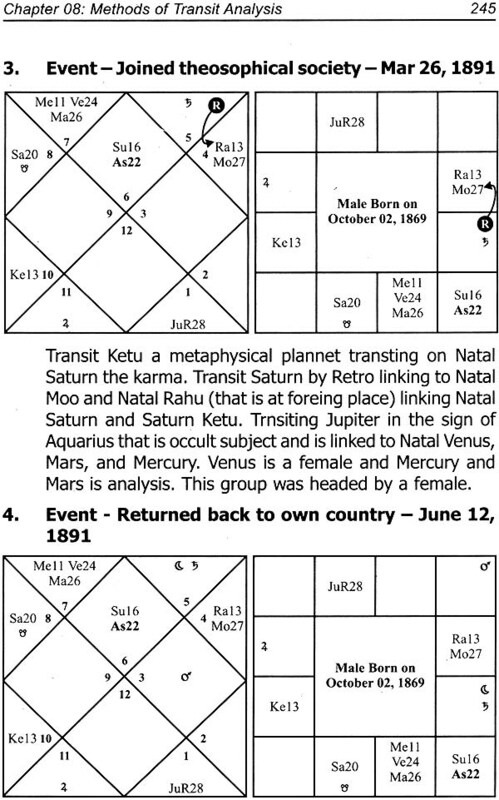 Both Natal and Transit planets' strength and weakness are to be considered for giving predictions. I am sure this Revised Version of PREDICTION SECRETS- NAADI ASTROLOGY' will be a hand book of every astrologer and astrology student. With due respect & regard to all who are instrumental for writing this book. 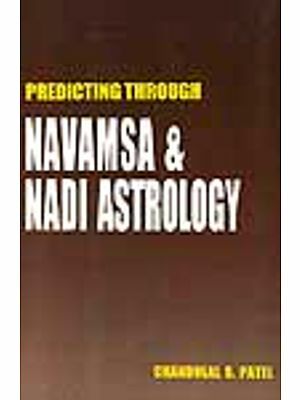 I wanted to be precise and forthright in predictive part of Naadi astrology for which I wrote the first edition of this book in a non-conventional method giving information in tabular format. The idea of writing the book came to me when the books of astrology which. are hitting every year have similar fundamentals and with one or two points proven in selective horoscopes and in some of them constructed horoscopes to prove the author's points of view have also been noticed. When practically the students apply in prediction part it fails. 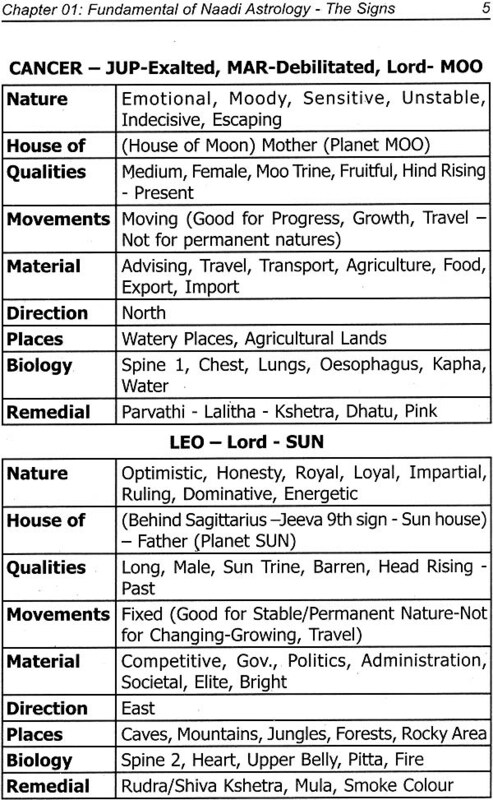 The founder of this method of astrology Guru Late Sri R.G. Rao of Bangalore has decoded the system making research study on the south Indian Tamil Naadi systems. 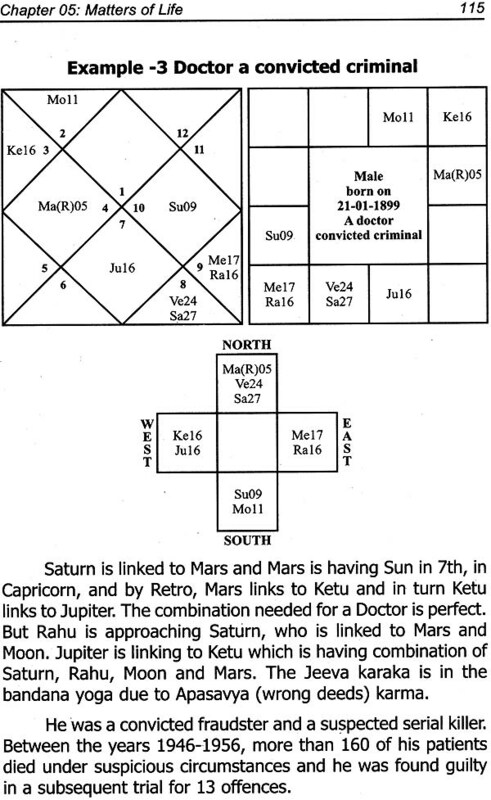 In many of the horoscopes collected during his research he found that the predictions given by these Naadi systems well matched with the combination of planets with their logical mixing of significations. Through research and taking clues from Varahamihira's great work Hora shastram he has developed workable significations which deviated a bit from the traditional scriptures. 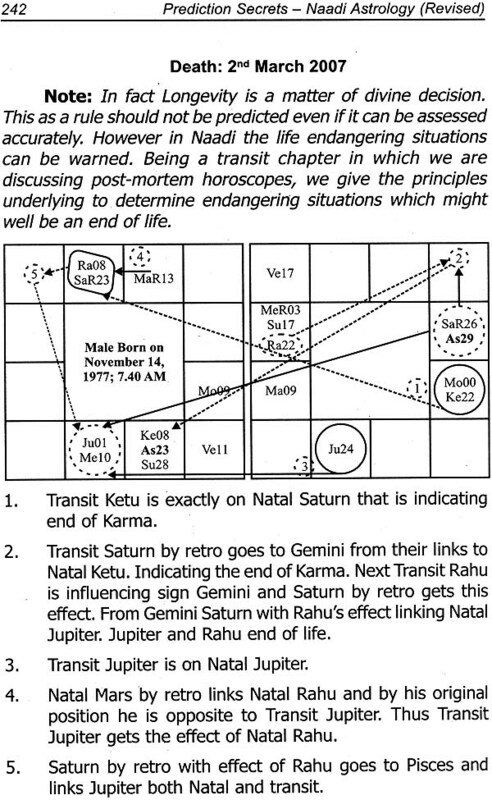 Though he based timing of events on the Saturn transit being adopted in Tamil Naadi palm leaf astrological system he has used four major planets in his experiments and fantastically successful to a maximum extent. The fast moving planets results are also helps in timing event and modify the core results. 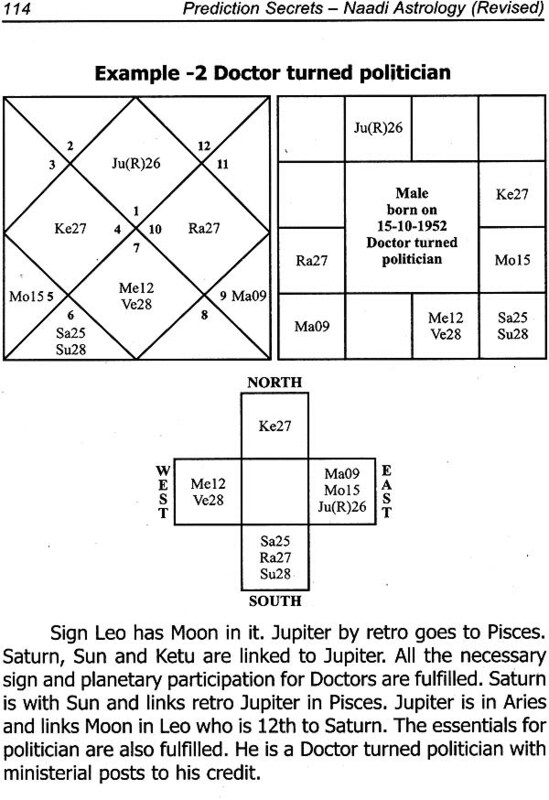 Instead of only Lagna he preferred to have different reference points based on Karakatwa of planet which is also a system of analysis existing in conventional astrology. However he simply modified the positional terminology not taking sequentially but arranging it in Trikona Stana (trines) from a particular planet's significations and for combinations, marked Dwirdwadasha, Trikona, Saptama, Trikona by which all the 12 reference points are covered. 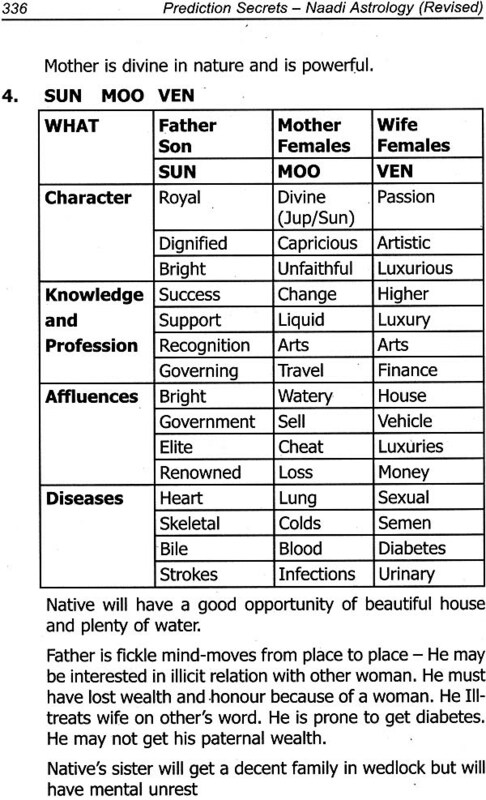 (This covers 12 houses in traditional astrology as 1, 5, 9, 2, 6, 10, 4, 8, 12 and 3, 7, 11). 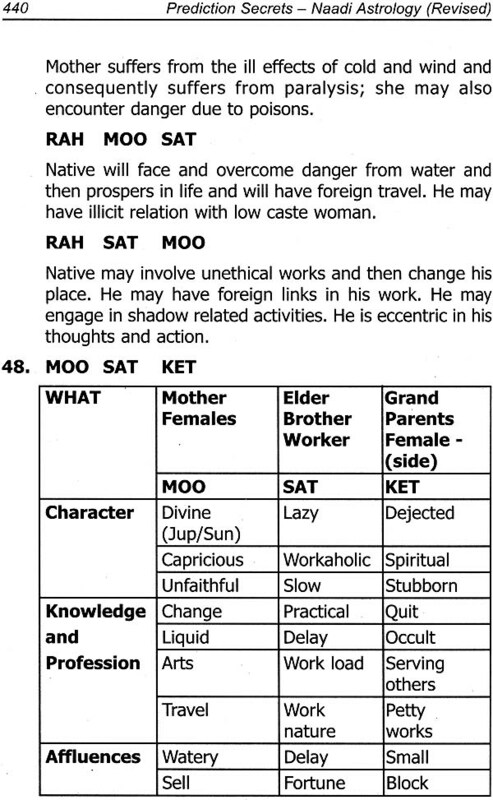 To establish his research rules, he has collected a few horoscopes from Brighu Naadi and a few from Nandi Naadi in both the system the methodology of analysis is only on house and sign system. 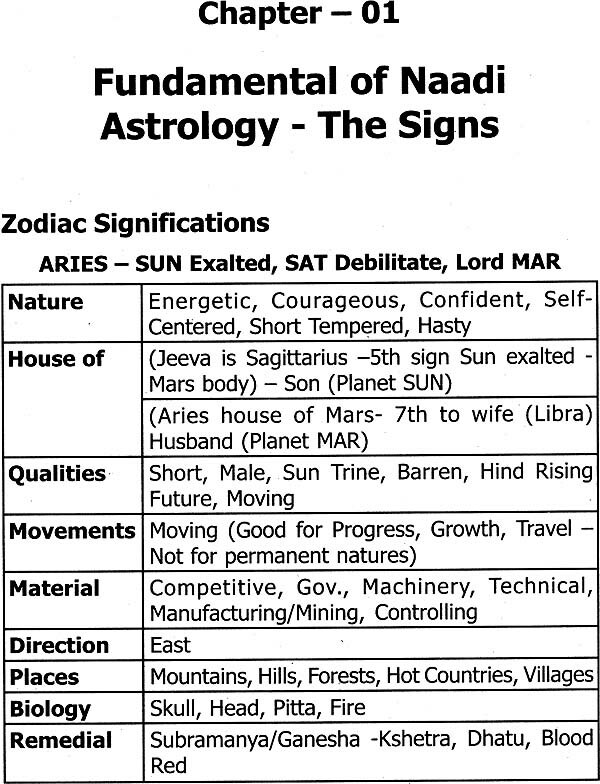 He has adopted his research rules to these horoscopes and written his magnum opus book "Brighu Nanadi Naadi" Later on he wrote many books on combination of planets, Transits, Vastu, Face reading, Palmistry in all these he applied the same principles of combination of planets and proved that Naadi is not simply a system of birth chart astrology it is a divine connectivity for which any visible, available, conceivable objects whether living or non-living, whether beneath or above the heavens can be combined for that moment and prediction can be given. Because of its abstract nature his woks were appreciated only by a few intellects who could apply the logic from these abstract medium. 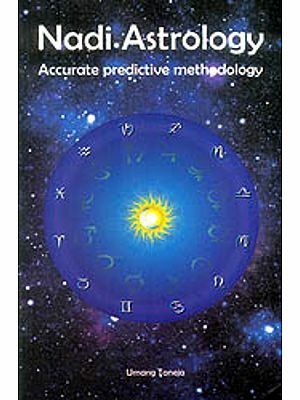 Despite the fact that these books were having precious predictive values, it was not in a structured format for common astrological students to understand. I took his permission to write a guide to his works and that is how the earlier version of "Prediction Secretes Naadi Astrology" was published. 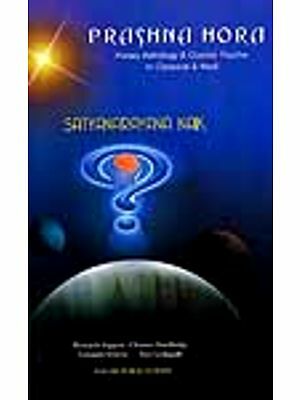 This book has created wonders across the world and many old school astrologers have started adopting this method, though some of them even claim that superior Naadi secret works are with them in a vernacular language and teach their half-versions with some traditional technical jargons and make tall claims, though they did not publish a single paper on such secrets when the Brighu Nandi Naadi was printed or at a later date when other works of Late Sri R.G. 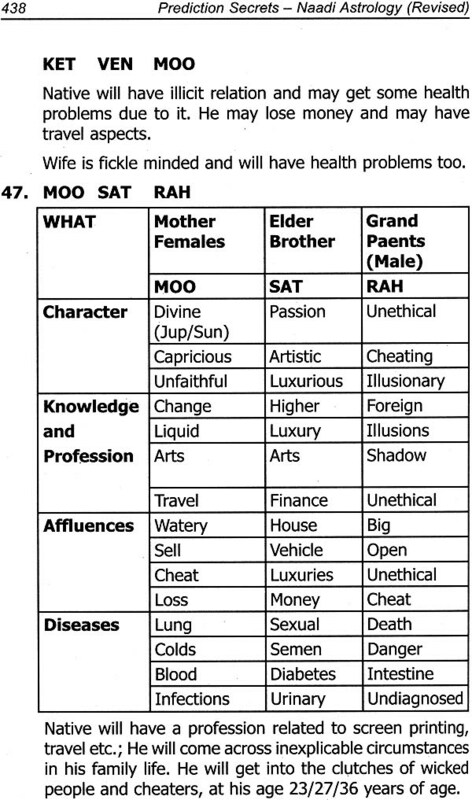 Rao were published subsequently. In fact his works were challenged and termed as unscientific (not as shastram) by the noted institutions and similar astrological community. After the release of "Prediction Secrets- Naadi Astrology" across the country, in many languages Naadi authors have sprung in action. 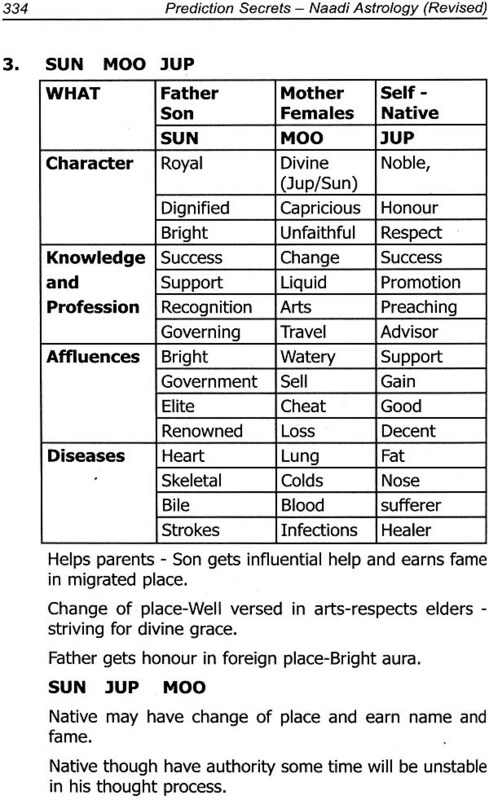 Some claimed that this system they learnt from family hereditary. It could be true if their ancestors read Brighu Nandi Naadi because their works have no change in the style of language or punctuation in many cases and at some cases they could not differentiate Nandi Naadi. 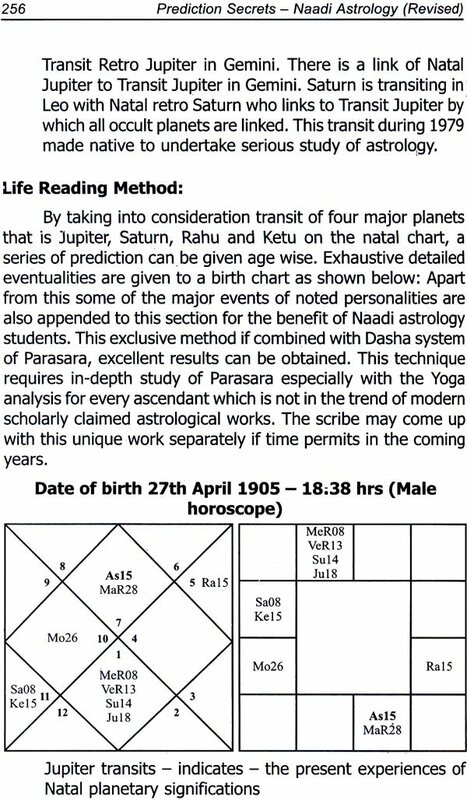 The word Naadi has been used in many other system of astrology, where ever any deviation with regard to position of planets is differently termed. I proudly call Brighu Nandi Naadi system as Naadi Shastram because it considers planetary position differently from Karaka Trikona and Dwirdwadasha, Saptama Stana and their trines from Karaka Planet. What a beautiful concept? 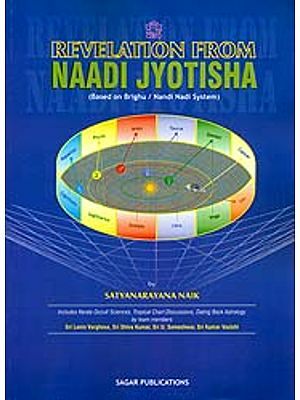 The meaning of this I am giving in this edition which of-course I have elaborately dealt in Revelation from Naadi- Jyotisha- which is my research work. 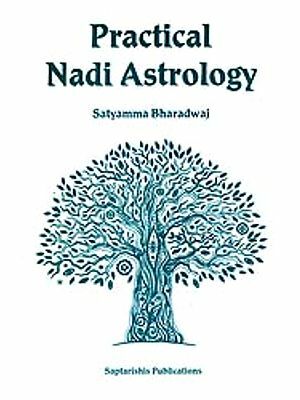 In my book Roots of Naadi Astrology I have explained other works relating to Naadi based on such unique consideration of planetary position and their relationships with dignities considering their stellar position synchronising with other dignities of astrology and muhurtha. I am not an original author; I am simply an author of a guide. In my research I found out that the information my guru wanted to give through his works are hidden and therefore I have written, Celestial matrix, Orbital providence, Prashna Hora to give insight into his works. However on observations and experience the fundamental rule book that is PREDICTION SECRETS - NAADI ASTROLOGY' needed some modification. Thus this book is being published with modifications and re-presented through reputed publisher Sagar Publications Delhi who has been publishing all my books. 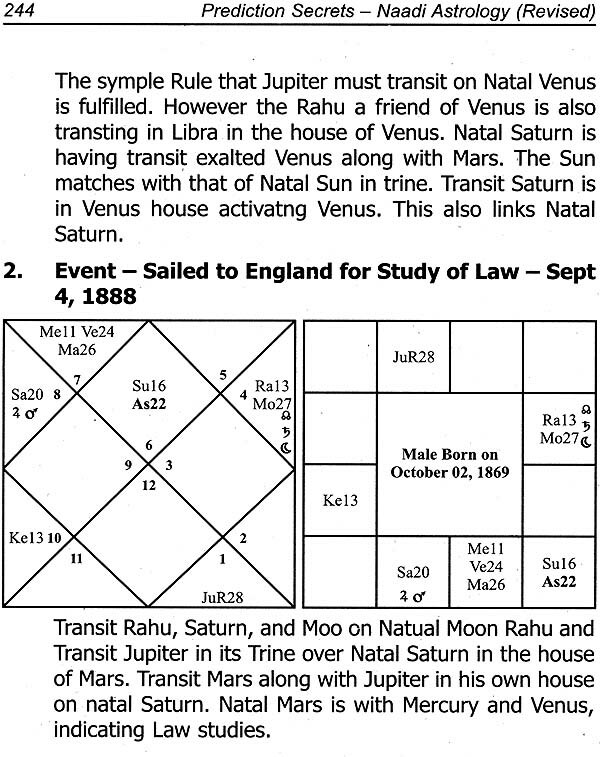 Despite the fact that the rules are simple it is not that easy for prediction unless the person develops logical approach in combination and transit of planets in addition possessing a quality of astrologer as prescribed by sacred texts.